Home / Events / Thank-O-Rama! 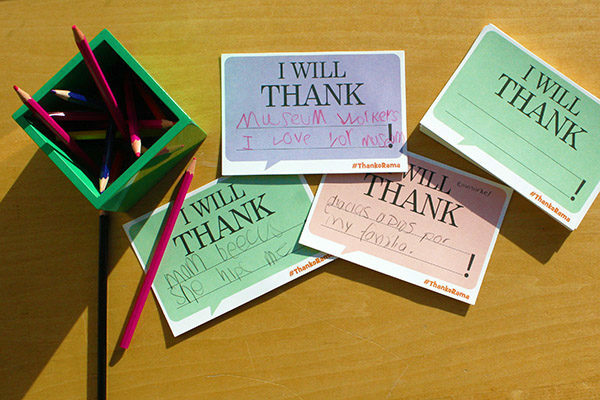 Share thankfulness all month long in The Pigeon Comes to Topeka! A Mo Willems Exhibit at the Kansas Children’s Discovery Center. Make a card for a veteran November 1st through 11th for volunteers to deliver to local veterans on Veterans Day. All month, design an extraordinary personalized thank you to give to someone special.